251 Marlborough is located on the north side of Marlborough, between Exeter and Fairfield, with 249 Marlborough to the east and 253 Marlborough to the west. 251 Marlborough was designed by Peabody and Stearns, architects, and built in 1886 by Andrew Anderson, carpenter, and William L. Clark & Co., masons, as the home of Francis Henry Appleton and his wife Fanny Rollins (Tappan) Appleton, on land he purchased from the Commonwealth of Massachusetts on December 1, 1885. He is shown as the owner on the original building permit application, dated January 22, 1886, and on the final building inspection report, dated December 16, 1886. They previously had lived at 265 Commonwealth. They also maintained a home and farm in Peabody. Click here for an index to the deeds for 251 Marlborough. Plans for the house are included in the Peabody and Stearns Collection in the Boston Public Library’s Arts Department (reference PS/MA.016). Click here to view the original plans for 251 Marlborough. Francis Henry Appleton served in the First Corps of Cadets from 1870, rising to the rank of Captain in 1879. In 1897, he was named Commissioner General of Massachusetts, retiring in 1900 with the rank of Major General. He also maintained a farm in Peabody. Fanny Appleton’s mother, Elizabeth Sawyer (Rollins) Tappan, widow of Sewall Tappan, lived with them at 251 Marlborough (and had lived with them at 265 Commonwealth). She died in September of 1897. Fanny Appleton died in March of 1906 and Francis Henry Appleton married again in November of 1907 to his deceased wife’s cousin, Mary Spencer Tappan. 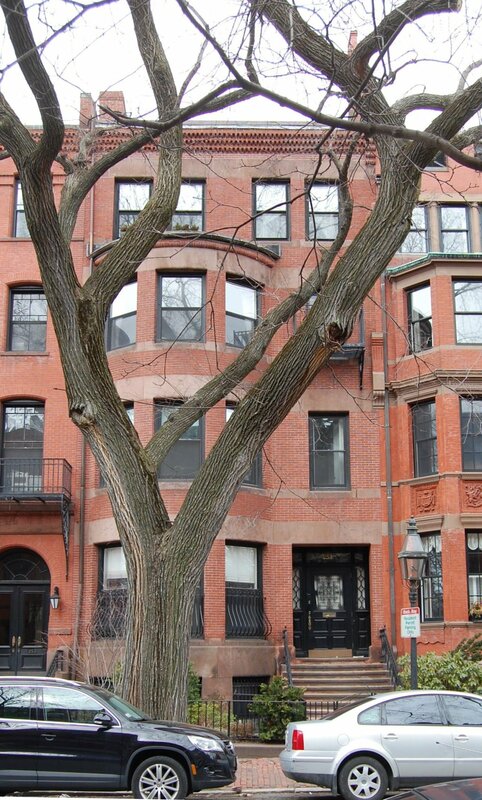 After their marriage, they lived at 251 Marlborough. Mary Appleton died in February of 1918. Following her death, General Appleton was joined at 251 Marlborough by his son and daughter-in-law, Francis Henry Appleton, Jr., and Nathalie (Gourlie) Appleton. Their usual home was 451 Marlborough, where they had lived the previous season and resumed living by the 1919-1920 season. 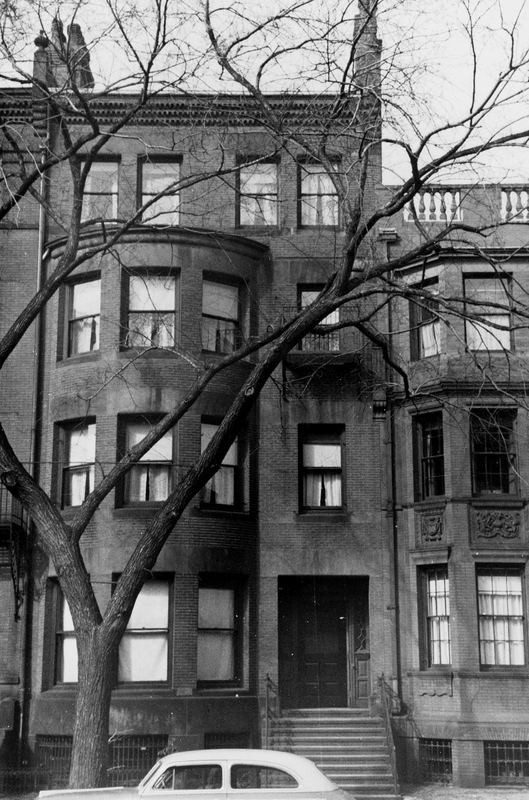 Francis Henry Appleton continued to live at 251 Marlborough until his death in April of 1939. On January 24, 1940, 251 Marlborough was purchased from Francis Appleton’s estate by Israel Gunnar Sjodin, a gardening contractor. He and his wife, Ruth Elisabeth (Hellstrom) Sjodin, made it their home. They previously had lived at 42 Worcester Square. In February of 1940, he applied for (and subsequently received) permission to convert the property from a single-family dwelling into a lodging house. On April 13, 1946, he transferred the property into his and his wife’s names. The Sjodins continued to live and operate a lodging house at 251 Marlborough until about 1947. On April 1, 1947, 251 Marlborough was acquired from the Sjodins by Boston University. In May of 1947, it applied for (and subsequently received) permission to remodel the interior. The property remained a lodging house, but was used as a dormitory by the University. On August 1, 1966, 251 Marlborough was purchased from Boston University by Newman Preparatory School. It had acquired 253 Marlborough the month before, and in October of 1966, it applied for (and subsequently received) permission to combine the properties and convert them into a school, which it operated as an annex to its school located at 245–247 Marlborough. 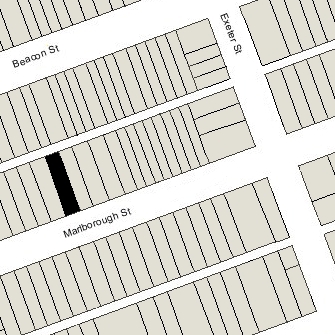 On June 15, 1988, 251-253 Marlborough were purchased from Newman School by Kurt W. Saraceno, trustee of the 251-253 Marlborough Street Realty Trust. 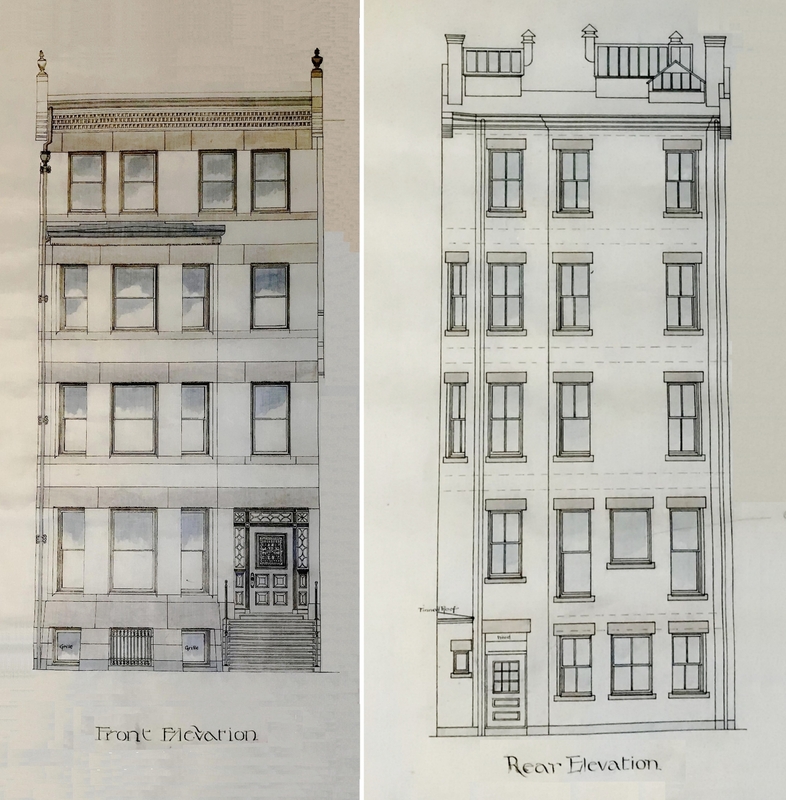 In August of 1988, he filed for (and subsequently received) permission to convert the combined properties into eight units, including adding a penthouse and a parking garage in the basement. On June 14, 1989, Kurt Saraceno converted the combined property into eight condominium units, the 251-253 Marlborough Street Condominium.